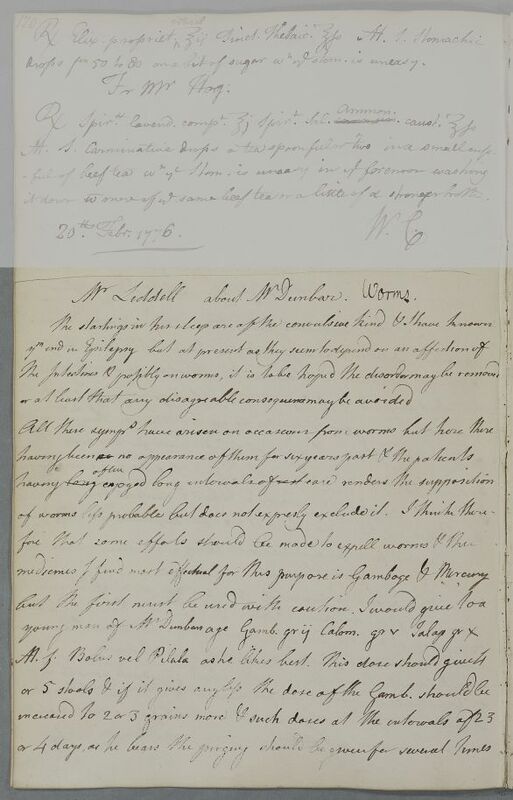 Reply to 'Mr Liddell about Mr Dunbar', concerning the possibility that Dunbar, an adolescent, may have worms which might account for some of his complaints. 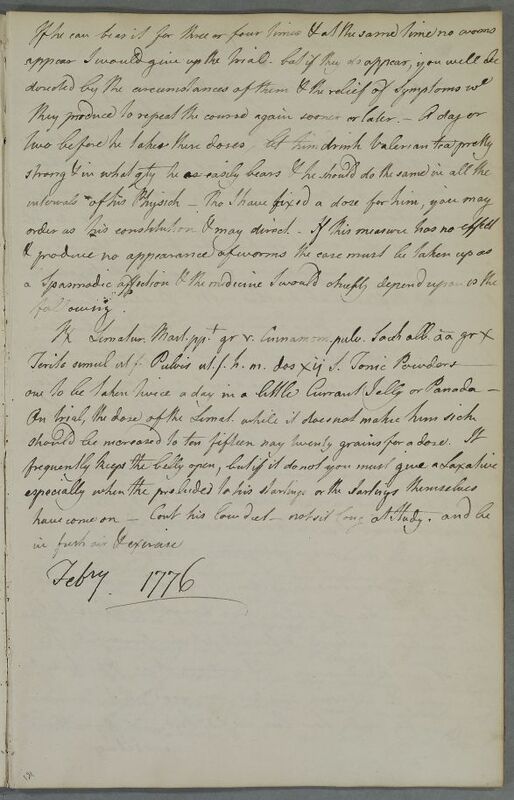 Summary Reply to 'Mr Liddell about Mr Dunbar', concerning the possibility that Dunbar, an adolescent, may have worms which might account for some of his complaints. Case of Mr Alexander Dunbar, adolescent son of Captain Dunbar of Westfield who has been 'subject to irregular & wandering Pains of his Belly' since infancy and who develops severe back pain, dizziness and an inability to stand. Mr Liddell about Mr Dunbar.